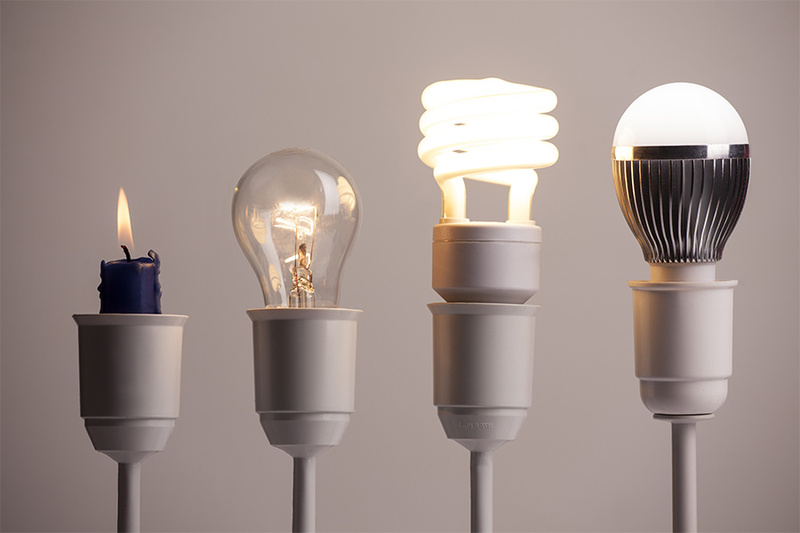 Tap into your circadian rhythm with… lightbulbs? Have you ever spent the day outside on the lake doing absolutely nothing but basking in good company and even better weather, and then when you get home, you feel absolutely wiped out and fall asleep like it’s nobody’s business? That’s your circadian rhythm talking. Recently, lighting companies and designers are using what they know about our bodies’ natural rhythms to create an artificial light system that does the same thing—with all the same benefits. Even the Seattle Mariners baseball team and the NASA International Space Station have gotten behind this futuristic shift of light-emitting diode technology (better known as LED light). Read on for everything you need to know about the promising upgrade for schools, offices, and even residential homes: circadian lighting. Let’s start like this: If you eat junk food every day, your body isn’t going be very happy with you. You’ll feel sluggish, tired, and probably pretty sick. But if you eat wholesome and healthy meals, drink plenty of water, and give your body the nutrients and nourishment you know it needs, chances are it’ll leave you feeling much better, don’t you think? Take this concept, but apply it to light—everything from the light in your office and the light in your kitchen to your bedroom, your family room, and entry way. In theory, if we give our body the light it craves at the time we crave it, we’ll feel like a million bucks. Circadian lighting is a tunable, LED light system that integrates natural daylight into architecture, which hopefully will lead to to increased performance, productivity, and overall improvements in well-being. You’re trying to tell me the light I have in my home will make me feel better? How does that work? Try to hang with me as we travel back in time to the dreaded days of middle school science class: photoreceptors cells. In plain terms, a photoreceptor is a type of neuron in the retina of our eyes. These specialized cells consist of two types: rods (that allow us to see dim and dark light) and cones (that allow us to see vibrant color and vivid, fine details). Their job? To convert the light we see into brain signals. The result? Creation of our circadian rhythm. Your circadian rhythm is your internal clock. Based on a 24-hour, bodily cycle that is heavily effected by sunlight, it can either keep you awake or throw you into a groggy, disgruntled state that’s dependent on the type of light you’re in. When you’re outside during the day, blueish-white light is detected by your photoreceptors. This signals a release of serotonin, the hormone specifically involved in keeping you awake and alert. At night, your photoreceptors detect a more amber, warm color of light, stimulating a release of the sleep-aid hormone known as melatonin. Circadian lighting regulates melatonin and its effects without you needing to be in the sun, which can be especially beneficial for people who work in a small, poorly lit home office or live in a home with small windows or limited amounts of sunlight. The wrong kind of lighting in our homes and work spaces (or any place where we spend a majority of our time) can cause our internal clocks to tick off beat. What do these lights even do? The goal of circadian lighting is to create identical benefits of natural light. The lights mimic the intensity and color of the sun to restore and create a healthier circadian rhythm and in turn, an improved quality of life. They expose people to the ideal light at the ideal time to keep them alert and focused during the day and calm and sleepy when it’s time for bed. What are the benefits of circadian lighting? Small-scale studies have reported improved focus, increased quality of sleep, higher levels of productivity, elevated mental function and cognition, higher concentration, and improved mood. After installing circadian lights, some schools have reported better grades and even higher SAT scores. Believe it or not, this 2013 study reports blue light to be more effective than caffeine. Okay, cool. What’s the catch? There just isn’t a ton of research on it yet. What exact intensity and color is most beneficial? When? Where? And for how long? The unanswered questions and undiscovered drawbacks make circadian lighting an ongoing experiment. The hints of what it can do for our health is strong, but to create evidence-based solutions, we need more facts. More statistics. More data. And, no matter how valuable these LED lights may be, there’s truly no substitute for the 10,000 degrees of radiant light from our sun.